When I started refereeing basketball in Illinois more than 37 years ago, I did so with the caveat of making a difference. I wanted to make a positive impact so that someday when I finally decided to walk off the court for the final time that the game itself would be in better shape for the future players, coaches and administrators. 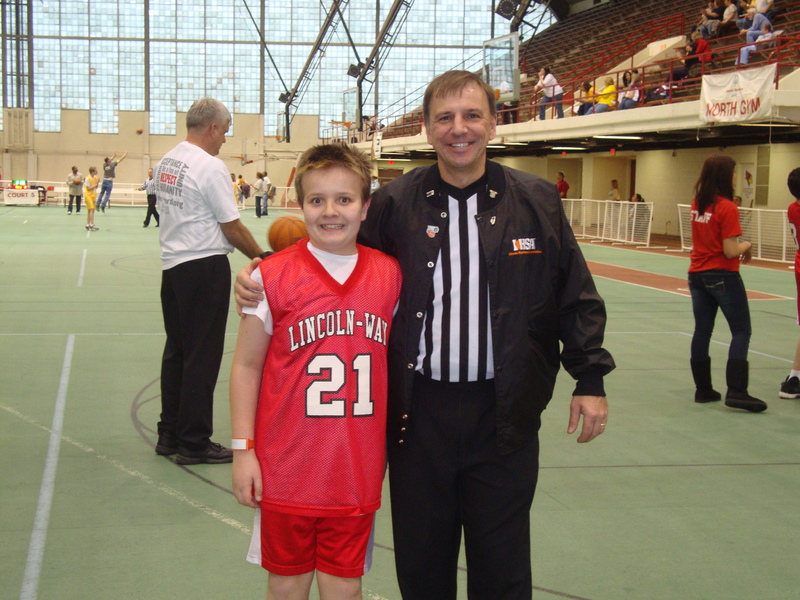 Little did I realize back then how much of a difference refereeing basketball would also make for me and that through it Special Olympics would become such a pivotal role in my personal growth. Sports in general have been a focus for my entire life. I served many years as a sports writer/editor for a number of Chicago-based newspapers, but refereeing basketball was the catalyst that allowed me to be an active participant in some capacity. And I made the most out of it — working three Illinois High School Association state finals for girls basketball (including two championships games in 2006 and 2009); being inducted into the Illinois Basketball Coaches Association (2007) and Girls Catholic Athletic Conference (2012) halls of fame; and receiving IHSA Official of the Year honors for girls basketball from the National Federation of State High School Associations (2009). As you might expect, family and friends have been such an important part of those successes because it was their appreciation and enjoyment that accentuated the peaks, but, more importantly, their unwavering support and encouragement that eased the valleys. So it goes without saying that family and friends will be near and dear to me July 25-Aug. 2 in Los Angeles when I serve as a floor official for the 2015 Special Olympics World Summer Games. Closest to me will be my 16-year-old son, Matt, who is a Special Olympics athlete himself and accompanies me to most of my games wherever I go. 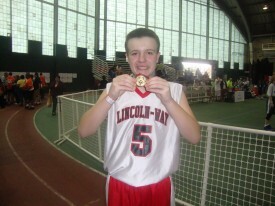 Matt is the reason I became involved with Special Olympics. Following my family’s move to Mokena, in 2004 so that Matt and his older brother, Mark, could get educations that met their respective needs. Mark, 19, is a gifted student who is now a second-year junior on presidential scholarship at Boston University. Matt soon engaged with Lincolnway Special Recreation Association in New Lenox. 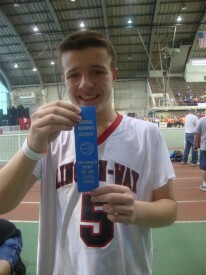 Today, through LWSRA, he participates in multiple Special Olympics events. And my wife, Karyn, has also taken on a vested interest as she now serves as LWSRA’s public relations/marketing manager. 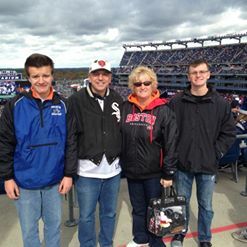 For us, Special Olympics is truly a family affair. Because of Matt, I quickly started volunteering as a referee for LWSRA basketball games and came to discover a whole new world of fulfillment. 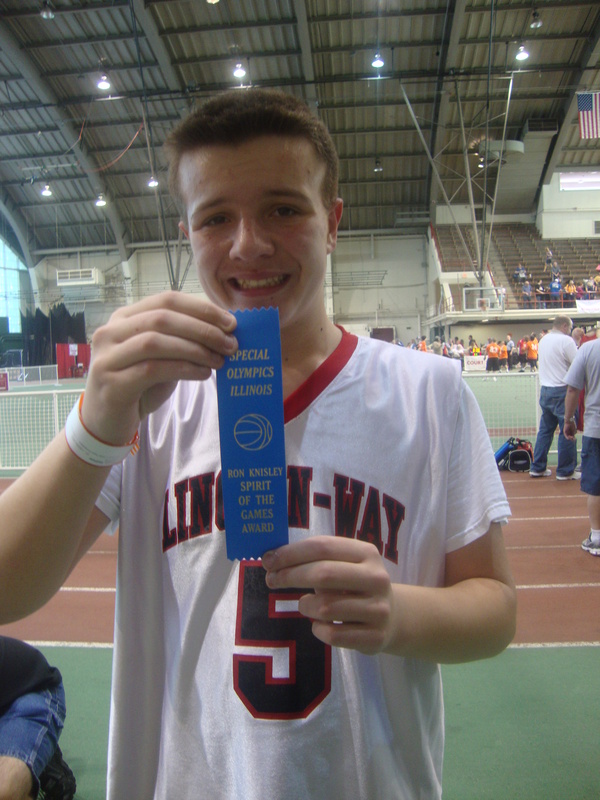 Since then, I’ve worked eight consecutive Special Olympics Illinois State Basketball Tournaments in Normal, including several occasions when Matt’s teams were there. Being able to actually work some of his games has been the thrill of a lifetime. Not that Special Olympics is void of fierce competition or heated exchanges with coaches, competitors and spectators (and fortunately those are far and few between), but there comes a whole different perspective when you work with this particular level of basketball. I don’t think you’ll ever see anywhere else an athlete approaching a referee after a game is completed and voicing a thank you along with a hug and/or handshake — even if he/she is on the losing end. Moreover, you’ll find more smiles in one game than you will in other leagues’ entire seasons. I can’t even begin to imagine what the experience will be like at the World Games. And what it’ll make it even more special for me is the fact my entire family will be involved. Karyn has registered as a volunteer and Matt and Mark will serve as “Fans In the Stands.” We’re going there to make a difference — but I can almost guarantee you now that everyone there will make even more of an impact in our lives. Now there are some who are reading this, including very qualified men and women who also referee basketball or officiate other sports, who don’t feel they’d be able to carry their respective fields of expertise over to the Special Olympics arena. To put it in proper sports vernacular, that would be the worst call a referee, umpire or official could ever make. On your worst day, you’re giving these wonderful young people and adults more than they could have imagined. All they want is an opportunity to participate and enjoy the moment. It’s our responsibility to make sure that indeed happens. Now that’s what making a difference is all about.